Home / 'Eyes without Sparkle - a journey through postnatal illness' / Would you like a complimentary report for your Behavioural Tendencies and Emotional Intelligence in the workplace? I am involved in a project to develop a standardised, valid and reliable assessment to measure Behavioural Tendencies and Emotional Intelligence in the workplace. These are excellent to show how we can work at our best and interact with others. If you would be interested in assisting in this study we will invite you to respond to a series of questions that will take around 35-40 minutes to complete. By responding to this assessment you will greatly assist us in fine-tuning the psychometric properties of the tool and give you the chance to experience being part of a study in the area of assessment psychology. All data will be held in the strictest confidence and will only be accessed by the team involved in the study. The closing date for completing the assessment is Sunday 21st April. 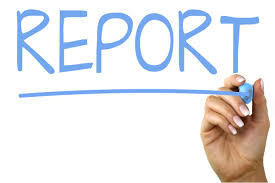 As a thank you once everything is in place, we will provide you with a complimentary full report.